Welcome to Gulf Coast Alignments! 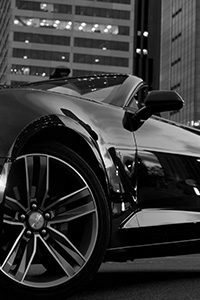 We are proud to welcome you to Houston’s finest automotive service and alignment center. We take great pride in our community and the condition of our customers’ vehicles. We invite you to stop in for any of our services or just swing by to chat if you have concerns about your vehicle. While we are your alignment specialists, the depth of our services goes far beyond alignments, and we have more than 25 years of experience to back it up. Contrary to how it may seem, your tires have a bit of wiggle room when it comes to traveling down the road. They are not completely straight and minute adjustments can affect the handling drastically. There are a few different adjustments that make up your wheel alignment and when all of these specification are in line, the tires will wear less and the vehicle will go straight. Of course the relationship of the steering wheel to the tires is a major factor in the tracking of the vehicle. The steering system is made up of a variety of different components, but basically it is still a direct link from the steering wheel to the tires. The theory being that, pressure on the steering wheel, applies pressure on the tires which turns the car. Back in the olden days, cars and trucks were not equipped with power assist steering and they were notoriously difficult to steer. Luckily, these days we have a variety of power steering options available, making it fairly effortless to drive a modern vehicle. When Is Something Wrong With My Wheel Alignment? Now this being the case, if you notice anything out of the ordinary with your steering, a cause may be the wheel alignment. A good rule of thumb is to always look for something that is just not right. For example if your steering wheel is out of alignment, it could be an indication that your wheel alignment is off. If you notice shaking or a vibration in your steering wheel while you are driving, alignment may be the issue. Does it feel like you are fighting to keep your vehicle straight? If so that is a good indication that your alignment is out of whack. Finally, are your tires wearing uneven? If so there is a possibility that your alignment is not correct. Of course adjusting the alignment on a vehicle is actually pretty easy, if you have the right equipment. The adjustment requires mounting the vehicle on a large rack that allows all four tires of the vehicle to be monitored. 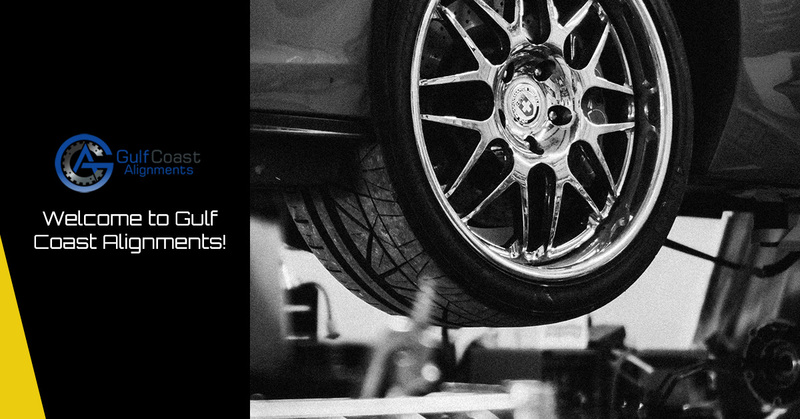 Making adjustments when the weight is off of the tires is the key to proper wheel alignment, meaning the entire vehicle must be up in the air. Not something you want to tackle in your carport. If you notice any of these conditions, it is critical that you bring your vehicle in for inspection and a wheel alignment service. While many factors can contribute to an alignment being out of specifications, the most common cause is simple wear. Tires wear, bolts loosen, and general wear all contribute to your aliment being out of adjustment and for the most part it is all not a big deal. At Gulf Coast Alignments we are experts at setting your alignment. So be safe, and if you have any doubts about your alignment please contact us today for more information. The oil change, the ubiquitous vehicle maintenance that pops up every three months or five thousand miles, (whichever comes first). You know, that annoying little light on the dash that flashes when you’re over the parameters for the oil change interval. In order to make that thing stop blinking you should change your oil. Most of us are pretty conscientious when it comes to changing our oil and it is one of the best things you can do to protect your engine from premature wear. At Gulf Coast Alignments we proudly offer a full service oil change for just about any vehicle on the road. Add an oil change to your service no matter what your are having done to your vehicle. Your run of the mill tune up has changed a bit in recent years. The components are pretty much the same but the parts have gotten much better. It is not uncommon for a set of spark plugs to be rated to last for over a hundred thousand miles. What used to be temporary parts have become more permanent due to advances in manufacturing. That being said, a tune up is the best way to maximize fuel mileage and performance. At Gulf Coast Alignments, we will scan your car or truck and make sure that all parameters are within specifications. These days a tune up is performed as much on a laptop as it is under the engine compartment and we stay up to date on current software and information. There is an old saying that goes something like, all the horsepower in the world doesn’t matter if you can’t stop. Meaning, brakes are important. The old binders are one of the most critical pieces of safety gear on your car, truck, or SUV. If they are not working correctly the ramifications could be deadly. Brake problems are not one of the issues that can be pushed off until the next oil change. If you are hearing a light squeal when driving that does not automatically mean that the brakes are completely shot. Modern brake pads have an indicator that will squeak when it is almost time to replace the brakes. At this point it is critical to have the pads replaced. Many times this will save the brake rotors from damage and make the brake job much cheaper. If at any point you hear grinding coming from your brake area, it is critical to take your vehicle to Gulf Coast Alignments for a complete brake service. We want to thank you for spending time with us today and we are proud to serve Houston and her surrounding areas. Please check back with us next time as we dig deeper into our services and maybe even explore a bit about suspension lifts. Who doesn’t love suspension lifts anyway? So we would like to remind you that, no matter what type of vehicle you drive we have a service to keep you on the road. From alignments to oil changes, Gulf Coast Alignment does it all. ©2018 Gulf Coast Alignments - Do not copy. All rights reserved.